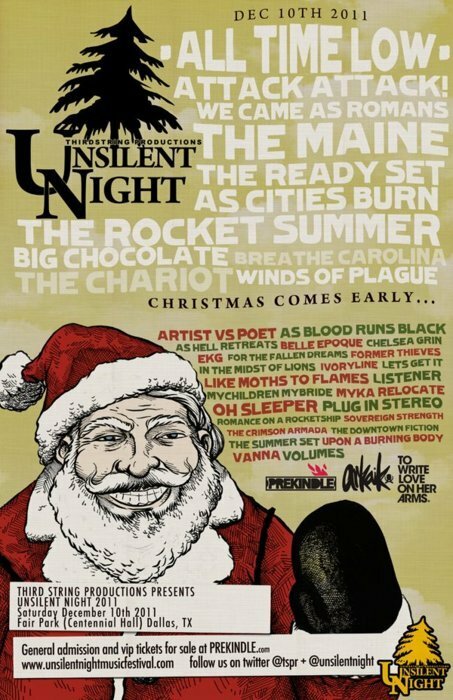 All Time Low will be headlining Dallas, Texas’ annual festival, Unsilent Night, on December 10th. Other bands include: Attack Attack!, We Came As Romans, The Maine, The Ready Set, Chelsea Grin and more! Read the full line up above.